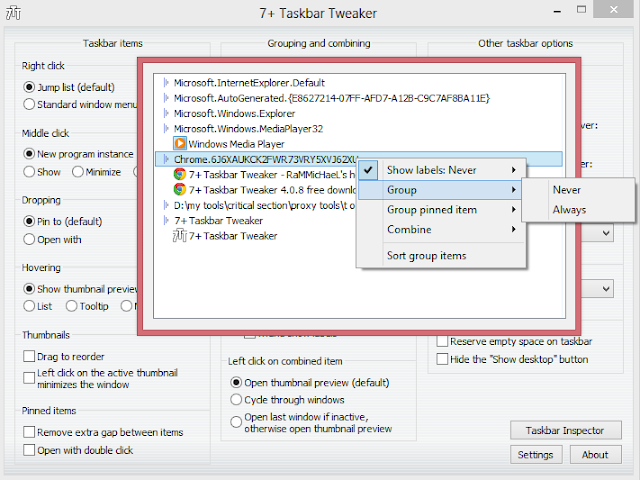 Other features of the 7 Taskbar Tweaker includes disabling windows grouping by application id or file path, disabling thumbnail previews and much more. You can group, ungroup, hide label or show label per Application ID. 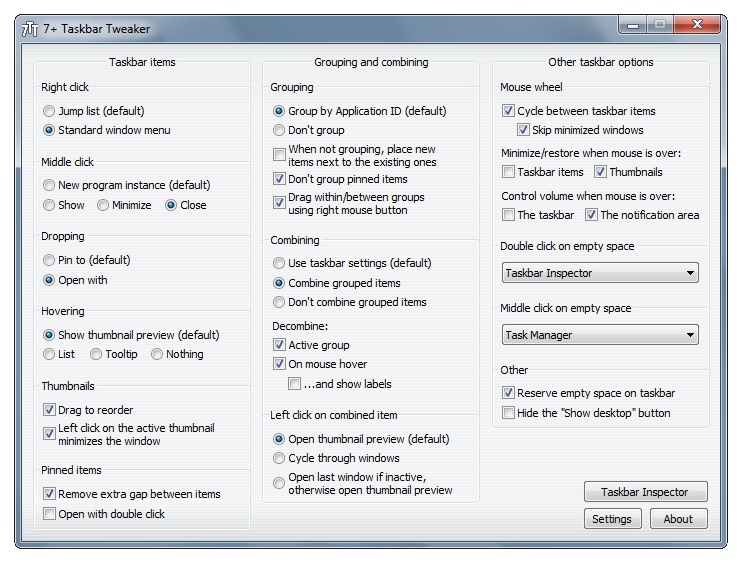 It also has a drag and drop feature for reordering items in a tab group. 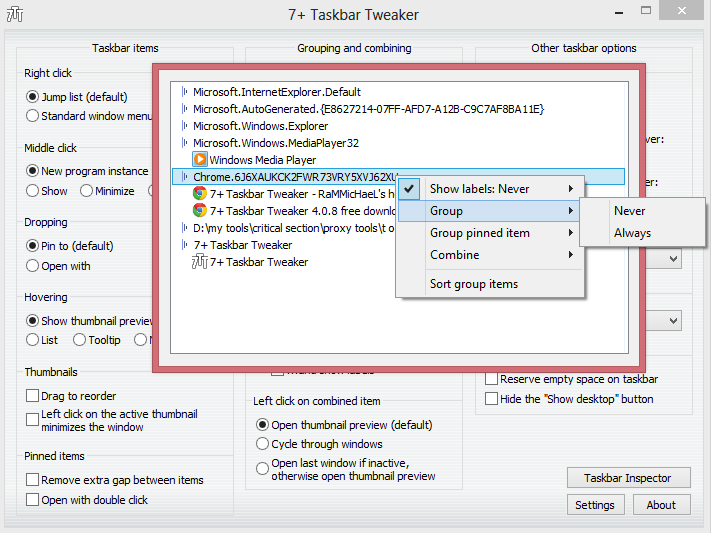 7 Taskbar Tweaker is a useful utility when it comes to tweaking your Windows 7 taskbar. This application provides tools in customizing your taskbar effortlessly. With this application, you can focus or close a window with a middle click rather than opening a new one. Note: Your antivirus may treat this app as Virus but dont worry your AV is showing its idiocy this time.